In Costa Rica, publicly-owned banks have been available for so long and work so well that people take for granted that any country that knows how to run an economy has a public banking option. Costa Ricans are amazed to hear there is only one public depository bank in the United States (the Bank of North Dakota), and few people have private access to it. For the last decade, I have resided in Costa Rica, where we have had a “Public Option” for the last 64 years. There are 29 licensed banks, mutual associations and credit unions in Costa Rica, of which four were established as national, publicly-owned banks in 1949. They have remained open and in public hands ever since—in spite of enormous pressure by the I.M.F. [International Monetary Fund] and the U.S. to privatize them along with other public assets. The Costa Ricans have resisted that pressure—because the value of a public banking option has become abundantly clear to everyone in this country. During the last three decades, countless private banks, mutual associations (a kind of Savings and Loan) and credit unions have come and gone, and depositors in them have inevitably lost most of the value of their accounts. But the four state banks, which compete fiercely with each other, just go on and on. Because they are stable and none have failed in 31 years, most Costa Ricans have moved the bulk of their money into them. Those four banks now account for fully 80% of all retail deposits in Costa Rica, and the 25 private institutions share among themselves the rest. According to a 2003 report by the World Bank, the public sector banks dominating Costa Rica’s onshore banking system include three state-owned commercial banks (Banco Nacional, Banco de Costa Rica, and Banco Crédito Agrícola de Cartago) and a special-charter bank called Banco Popular, which in principle is owned by all Costa Rican workers. These banks accounted for 75 percent of total banking deposits in 2003. In Competition Policies in Emerging Economies: Lessons and Challenges from Central America and Mexico (2008), Claudia Schatan writes that Costa Rica nationalized all of its banks and imposed a monopoly on deposits in 1949. Effectively, only state-owned banks existed in the country after that. The monopoly was loosened in the 1980s and was eliminated in 1995. But the extensive network of branches developed by the public banks and the existence of an unlimited state guarantee on their deposits has made Costa Rica the only country in the region in which public banking clearly predominates. By 1980, the Costa Rican economy had grown to the point where it was by far the richest nation in Latin America in per-capita terms. It was so much richer than its neighbors that Latin American economic statistics were routinely quoted with and without Costa Rica included. Growth rates were in the double digits for a generation and a half. And the prosperity was broadly shared. 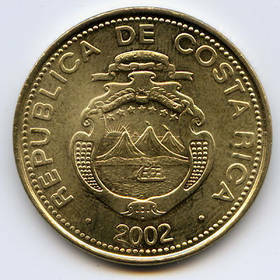 Costa Rica’s middle class – nonexistent before 1949 – became the dominant part of the economy during this period. Poverty was all but abolished, favelas [shanty towns] disappeared, and the economy was booming. At the conclusion of the civil war of 1948 (which was brought on by the desperate social conditions of the masses), Costa Rica was desperately poor, the poorest nation in the hemisphere, as it had been since the Spanish Conquest. The winner of the 1948 civil war, José “Pepe” Figueres, now a national hero, realized that it would happen again if nothing was done to relieve the crushing poverty and deprivation of the rural population. He formulated a plan in which the public sector would be financed by profits from state-owned enterprises, and the private sector would be financed by state banking. A provision of the Figueres constitution guaranteed a job to anyone who wanted one. At one point, 42% of the working population of Costa Rica was working for the government directly or in one of the state-owned corporations. Most of the rest of the economy not involved in the coffee trade was working for small mom-and-pop companies that were suppliers to the larger state-owned firms—and it was state banking, offering credit on favorable terms, that made the founding and growth of those small firms possible. Had they been forced to rely on private-sector banking, few of them would have been able to obtain the financing needed to become established and prosperous. State banking was key to the private sector growth. Lending policy was government policy and was designed to facilitate national development, not bankers’ wallets. Virtually everything the country needed was locally produced. Toilets, window glass, cement, rebar, roofing materials, window and door joinery, wire and cable, all were made by state-owned capitalist enterprises, most of them quite profitable. Costa Rica was the dominant player regionally in most consumer products and was on the move internationally. Needless to say, this good example did not sit well with foreign business interests. It earned Figueres two coup attempts and one attempted assassination. He responded by abolishing the military (except for the Coast Guard), leaving even more revenues for social services and infrastructure. That’s when the IMF and World Bank came to town. Privatize everything in sight, we were told. We had little choice, so we did. End your employment guarantee, we were told. So we did. Open your markets to foreign competition, we were told. So we did. Most of the former state-owned firms were sold off, mostly to foreign corporations. Many ended up shut down in a short time by foreigners who didn’t know how to run them, and unemployment appeared (and with it, poverty and crime) for the first time in a decade. Many of the local firms went broke or sold out quickly in the face of ruinous foreign competition. Very little of Costa Rica’s manufacturing economy is still locally owned. And so now, instead of earning forex [foreign exchange] through exporting locally produced goods and retaining profits locally, these firms are now forex liabilities, expatriating their profits and earning relatively little through exports. Costa Ricans now darkly joke that their economy is a wholly-owned subsidiary of the United States. The dire effects of the IMF’s austerity measures were confirmed in a 1993 book excerpt by Karen Hansen-Kuhn titled “Structural Adjustment in Costa Rica: Sapping the Economy.” She noted that Costa Rica stood out in Central America because of its near half-century history of stable democracy and well-functioning government, featuring the region’s largest middle class and the absence of both an army and a guerrilla movement. Eliminating the military allowed the government to support a Scandinavian-type social-welfare system that still provides free health care and education, and has helped produce the lowest infant mortality rate and highest average life expectancy in all of Central America. In the 1970s, however, the country fell into debt when coffee and other commodity prices suddenly fell, and oil prices shot up. To get the dollars to buy oil, Costa Rica had to resort to foreign borrowing; and in 1980, the U.S. Federal Reserve under Paul Volcker raised interest rates to unprecedented levels. In The Gods of Money (2009), William Engdahl fills in the back story. In 1971, Richard Nixon took the U.S. dollar off the gold standard, causing it to drop precipitously in international markets. In 1972, US Secretary of State Henry Kissinger and President Nixon had a clandestine meeting with the Shah of Iran. In 1973, a group of powerful financiers and politicians met secretly in Sweden and discussed effectively “backing” the dollar with oil. An arrangement was then finalized in which the oil-producing countries of OPEC would sell their oil only in U.S. dollars. The quid pro quo was military protection and a strategic boost in oil prices. The dollars would wind up in Wall Street and London banks, where they would fund the burgeoning U.S. debt. In 1974, an oil embargo conveniently caused the price of oil to quadruple. Countries without sufficient dollar reserves had to borrow from Wall Street and London banks to buy the oil they needed. Increased costs then drove up prices worldwide. By late 1981, says Hansen-Kuhn, Costa Rica had one of the world’s highest levels of debt per capita, with debt-service payments amounting to 60 percent of export earnings. When the government had to choose between defending its stellar social-service system or bowing to its creditors, it chose the social services. It suspended debt payments to nearly all its creditors, predominately commercial banks. But that left it without foreign exchange. That was when it resorted to borrowing from the World Bank and IMF, which imposed “austerity measures” as a required condition. The result was to increase poverty levels dramatically. Indebted to the IMF, the Costa Rican government had to sell off its state-owned enterprises, depriving it of most of its revenue, and the country has since been forced to eat its seed corn. No major infrastructure projects have been conceived and built to completion out of tax revenues, and maintenance of existing infrastructure built during that era must wait in line for funding, with predictable results. About every year, there has been a closure of one of the private banks or major savings coöps. In every case, there has been a corruption or embezzlement scandal, proving the old saying that the best way to rob a bank is to own one. This is why about 80% of retail deposits in Costa Rica are now held by the four state banks. They’re trusted. Costa Rica still has a robust economy, and is much less affected by the vicissitudes of rising and falling international economic tides than enterprises in neighboring countries, because local businesses can get money when they need it. During the credit freezeup of 2009, things went on in Costa Rica pretty much as normal. Yes, there was a contraction in the economy, mostly as a result of a huge drop in foreign tourism, but it would have been far worse if local business had not been able to obtain financing when it was needed. It was available because most lending activity is set by government policy, not by a local banker’s fear index. Stability of the local economy is one of the reasons that Costa Rica has never had much difficulty in attracting direct foreign investment, and is still the leader in the region in that regard. And it is clear to me that state banking is one of the principal reasons why. The value and importance of a public banking sector to the overall stability and health of an economy has been well proven by the Costa Rican experience. Meanwhile, our neighbors, with their fully privatized banking systems have, de facto, encouraged people to keep their money in Mattress First National, and as a result, the financial sectors in neighboring countries have not prospered. Here, they have—because most money is kept in banks that carry the full faith and credit of the Republic of Costa Rica, so the money is in the banks and available for lending. While our neighbors’ financial systems lurch from crisis to crisis, and suffer frequent resulting bank failures, the Costa Rican public system just keeps chugging along. And so does the Costa Rican economy. My dream scenario for any third world country wishing to develop, is to do exactly what Costa Rica did so successfully for so many years. Invest in the Holy Trinity of national development—health, education and infrastructure. Pay for it with the earnings of state capitalist enterprises that are profitable because they are protected from ruinous foreign competition; and help out local private enterprise get started and grow, and become major exporters, with stable state-owned banks that prioritize national development over making bankers rich. It worked well for Costa Rica for a generation and a half. It can work for any other country as well. Including the United States. The Costa Rican model is particularly instructive at a time when US citizens are groaning under the twin burdens of taxes and increased health insurance costs. Like the Costa Ricans, we could reduce taxes while increasing social services and rebuilding infrastructure, if we were to allow the government to actually make some money itself. And a giant first step would be for it to establish some publicly-owned banks.